The latest US FDA inspection of our plant in Celrà (Girona), Spain in April resulted in no “Form 483” (no observations were noted). 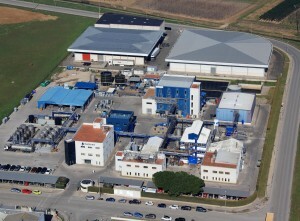 For the Celrà site this was the sixth consecutive FDA inspection without any observation. The inspection was carried out by an FDA investigator from April 27th to April 30th, 2015 and covered Good Manufacturing Practice (cGMP) as well as several Active Pharmaceutical Ingredients (APIs) exported to the US. Malta site FDA inspection in February this year was also a no ‘Form 483’ one for the second consecutive time. This is an excellent record particularly because this is Medichem’s eighth FDA inspection without any observation and the second consecutive time that our two plants pass an FDA inspection without any observation in the same year. Medichem at CPhI Japan in Tokyo, April 22nd – 24nd 2015 (booth Nr. 1F... Medichem at DCAT 2016. 14th to 17th March in New York City.